Looking for a great way to make family memories? Not sure about towing an RV because you are new to the RVing lifestyle? 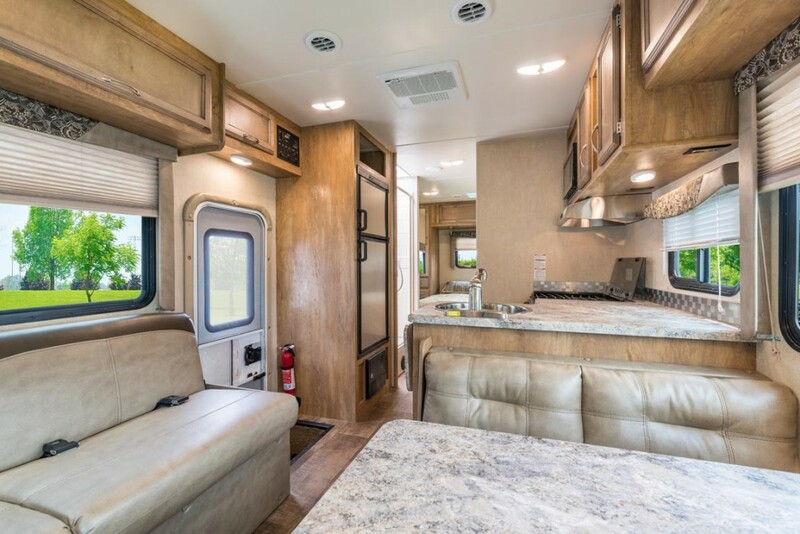 The Gulf Stream Conquest Class C motor home for sale is a perfect space to create lasting memories with family and friends. With floorplans that can sleep up to 9 people, there is plenty of space to bring along the most important people in your life. What are you waiting for? Hop in! It’s just that easy in a Conquest motor home. Create lasting memories in the Gulf Stream Conquest motorhome. While having room for everyone is important, nothing is more important than your loved one’s safety while traveling. After you pack up the last teddy bear and dad’s favorite hiking boots, you want to know that if the unspeakable happens, your family will be safe inside the Gulf Stream Conquest Class C motor home. The “cradle of strength” is added to each of our foundation of steel that Gulf Stream adds to their motor homes. This will assure your family’s safety. Find more information on the “cradle of strength” here. Safety first in the Gulf Stream Conquest motorhome! Let’s face it. When you bring kids they have lots of, well, stuff. And we all have that friend that packs for a long weekend like they will be gone for a month. Don’t worry. The Gulfstream Conquest Class C motor home has space to sleep all your favorite people and all of their stuff. Here are some great features for sleeping (and for all the “stuff”). Models that sleep 5-9 people. Up to 2 slides for extra floor space. Overhead cabinets above beds and dining areas for extra storage. Double basement storage accessible from rear or side access doors. Extra wardrobes or shirt closets in most floor plans. 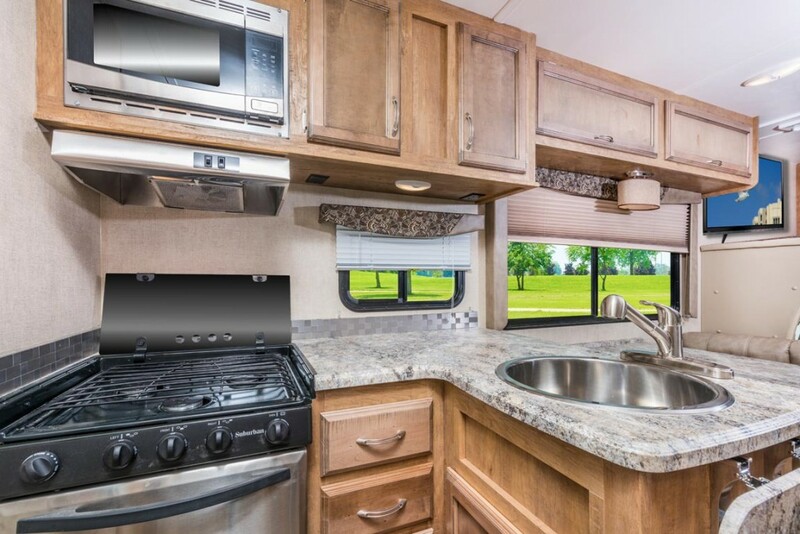 Check out all the overhead storage in the Conquest motorhome! The most important part of a camper besides beds is probably the kitchen. Let’s face it. When everyone can eat their favorite foods, they are happy campers. So, what about the space to prepare these favorite items and to store favorite snacks? 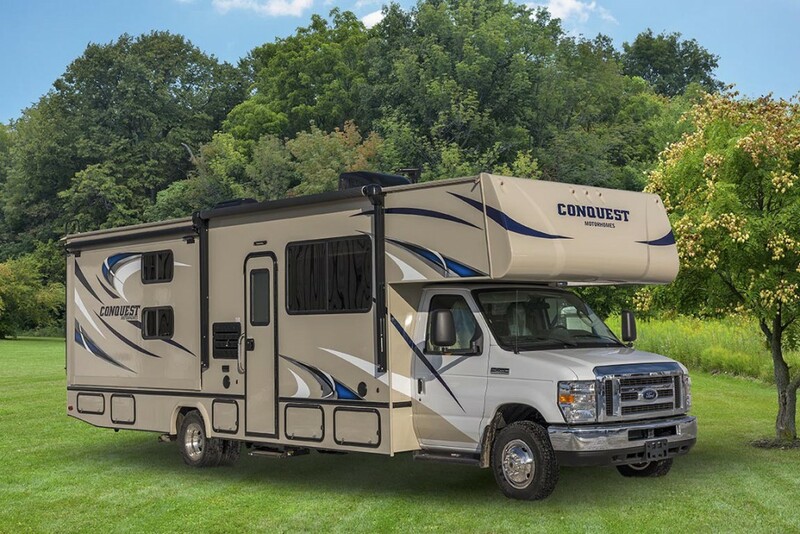 Never fear, the Conquest motor home is here! Check out these great kitchen amenities that you don’t want to live without, even if you are on the road. Oven with 3-burner range and vent hood. Flip up counter extension for more prep space. This kitchen packs a punch when it comes to space and storage! If all these options weren’t enough to make you excited about the Gulf Stream Conquest Class C motorhome floor plans, let us mention just a few more of our favorite options that you might want to consider. U-shaped dinette for family dinners or game nights. Bunk space for the kids to have their own space. A full bath to avoid late night potty trips. Jack knife sofa that turns into a bed for extra sleeping space. Optional outdoor entertainment area for movie nights in the great outdoors. When it’s time to find your family a new way to vacation, come take a look at the Gulf Stream Conquest Class C motorhome for carefree travel. No camper hook-ups or tow vehicles to worry about. Just pack up and go. Feel free to contact us at Moore’s RV dealer for any questions you might have. Have fun on your next camping adventure!